The Xerox Color C60/70 series digital printers combine productivity, flexibility, enhanced finishing options, and exceptional color into one solution. The C60/70 digital printers offer workstation functionality with integrated copying and scanning, with optional fax capabilities. Integrated Mobile Print functions enable your team to print from their device of choice seamlessly. With the C60/70 digital printers you get enhanced productivity with color-rich, high-definition prints in 2400x2400 dpi. Xerox’s Emulsion Aggregation toner ensures smooth, crisp prints every time. With a deep finishing arsenal, the C60/70 can create even the most demanding projects, while the integrated color server ensures you have the flexibility to customize your prints through an intuitive, easy-to-navigate interface. The main selling point of the Xerox C60 & C70 is they are the newer version of the Xerox Color 550/560/570. Xerox doesn’t reinvent the wheel as they need new machines to offer their clients. The C60/C70 are basically the same machines as the 550/560 just with a new cover/name and some software upgrades. The C60/C70 machines are ideal for office environments that need good production color for proofing jobs and doing small runs. 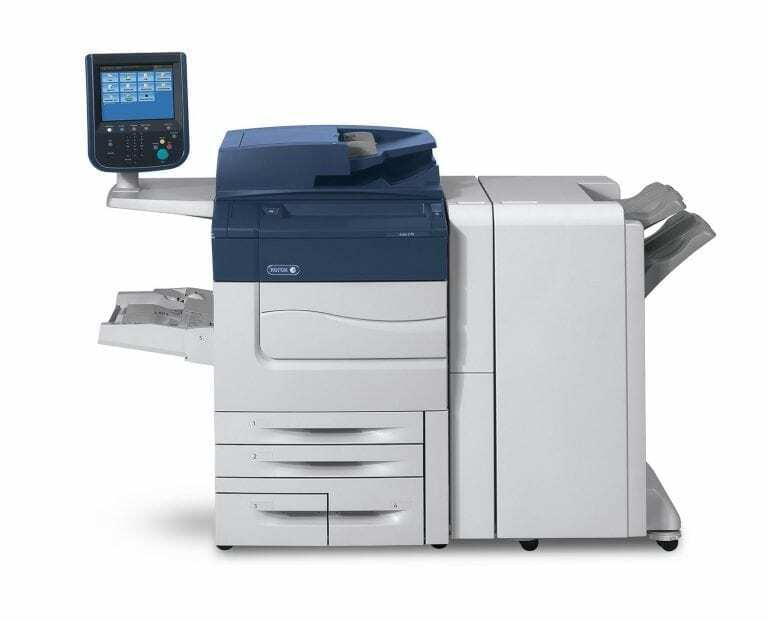 The C60/C70 machines do come with office features such as scan and fax. These machines are ideal for clients printing color volume in the range of 20-50K per month.